Here is a quick iPhone vid on how I have been stretching my hair with a flat iron instead of a blow dryer.I've been doing this for a month, using the wetline gel to set my wash & go, and have noticed no damage. I keep the iron on a low 300 (lowest mine goes) and I use Nubian Heritage honey & blackseed leave in is my heat protectant. I get a week out of this!! Great idea! My hair is about MBL, but fine and not super thick, with a mixture of 4a and 3c curls. This makes for a LOT of shrinkage. Tried this method on a fresh twistout a few days ago and it worked like a charm. Usually I don't like my twistouts done on wet hair until day 3 or so because they are too defined and shrunken. This had my hair fluffy, full, and swinging on day 1, and 4 days later it still looks great! Mallory, let me know if you try it! @TC I'm glad it worked for you too!! I'm sold on this being THE way I combat shrinkage from now on. My hair is also a mix of 3C and 4A, and very fine. 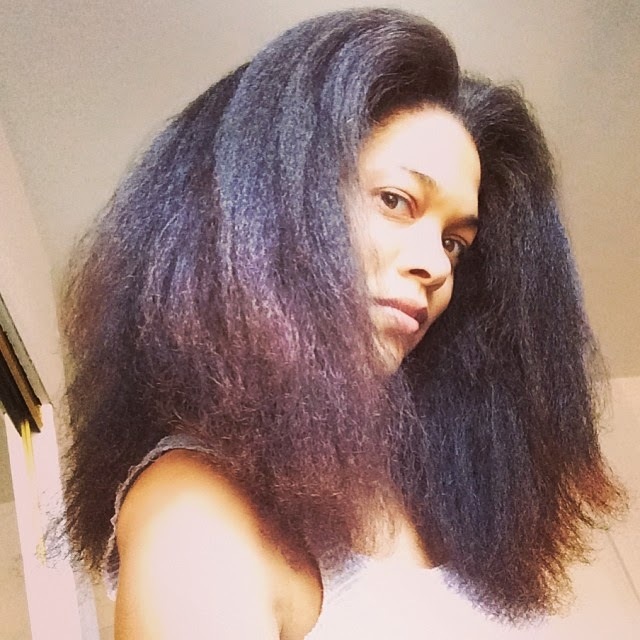 I just posted my shrunken hair- lol check it out! Though challanging, SHRINKAGE is not the enemy!